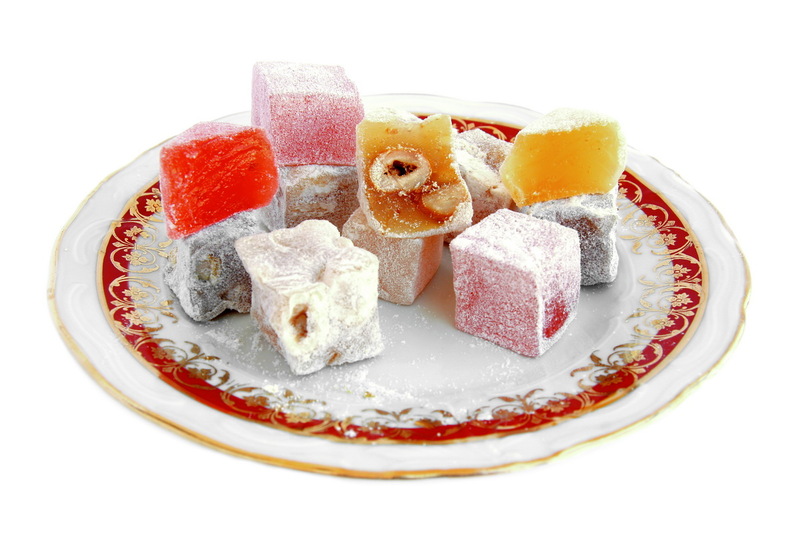 Turkish Delight (lokum) are famous Turkish sweets. Turkish soup made with red lentils, bulgur and rice with spices is a good example of Turkish regional dish. Another Turkish specialty but also very popular in the Middle East and the West is Shih Kebab. The word “shish” means in Turkish skewer. This dish is made with meat, can be basically any meat, grilled on a metal skewer together with different types of vegetables. Here on the picture a chicken shish kebab. A great way to try Donner kebab is in a pita bread with chili sauce, garlic mayonnaise and crunchy salad. One of best internationally known Turkish dishes, Donner kebab is made from meat grilled on a vertical spit, typically lamb meat but can also be a mix of other meats. Thin slices are cut from the spit with a sharp knife. A great Turkish specialty are pancakes called Gozleme. They are made from flat dough, stuffed with filling such as mashed potato, cheese, minced meet, spinach. The pancakes with filling are folded and fried on both sides on a hot plate. Here on the picture these pancakes are being prepared by a Turkish woman in a window of a restaurant in the old part of Istanbul. Istanbul is a great place if you want to try some local fish. Choices abound. Popular with locals are anchored boats where the fresh fish is fried and a fish sandwich can be made for you in half a minute. The place is next to one of the bridges connecting the North and the South part of the city, opposite the New Mosque.